True Believers, greetings to all (for the number-followers, yes, we skip Round 13 with our Bye). Eddie, Eddie, Eddie? A comment re Eddie’s behaviour / remarks. I agree that Eddie needs to decide whether he is a radio ‘shock- jock’ who wants to “play with the boys” or President of the largest and most respected Club in Australia. There is a time, Eddie, when you need to grow up, recognise the potential impact of your comments and actions and behave accordingly; to set an example to all. It is all about ‘perception’ and ‘example’. And the consequences? At writing, these are still evolving. It would be great pity if someone who has done so much had this contribution ‘drowned’ (pun intended) in stupidity. Greg Baum – “To plagiarise the Queen on her birthday, this is now officially Collingwood’s annus horribilis”. For those under the age of 50 (perhaps even older) who didn’t do Latin at school as a matter of course (or who skipped the Queen’s 40th anniversary message a few years back), ‘annus horribilis’ means ‘horrible year’. I don’t agree – It’s not over till it’s over. Have faith. The Season? We need to convincingly win (for the percentage) 9 out of the 10 matches remaining (or win all 10 by smaller margins) to make the Finals. Let’s make it simple – win this week against Freo, then worry about next week. Freo. Friday, 24 June; at the G; bounce: 7.50pm. 14th versus 15th; we’re 14th, so from the Ladder we should be favourites; percentages: 84.5% (us) vs 88.0% (them). We are four and eight; they are three and ten. We are coming off two substantial losses (Port and Melbourne) and a Bye; Freo are coming off three substantial wins (Essendon and Brisbane and, importantly, Port). Their Bye is next week. Betting is very close. As always, we should win. Weather in Melbourne? Showers in the morning; 7 to 13 deg, windy. The surface is likely to be wet and slippery and the ball will become heavy. Consider long sleeves and ‘stops’ (no moulded soles). TV – Free to Air; 7mate, from 7.30pm. Freo. What a difference six months makes – at the start of this season Freo were being touted as potential Finalists and after last weekend, maybe they are. Even without Fyfe and Sandilands Freo have been performing. Have they turned a corner recently? They defeated Essendon the week before pretty well and beat Port last weekend impressively. If you think Essendon are ‘easy-beats’ you obviously didn’t watch their game against GWS on Sunday – very impressive for three Quarters. In Freo’s win over Port, with Port supposedly heading towards a Final Eight spot, there were six lead changes during the game – neither side gave up – check the graph at http://www.afl.com.au/match-centre/2016/13/fre-v-port. Freo defeated Port in Contested Possessions (161 to 131) and Marks inside 50 (13 to 6) (and Frees 26 to 11 if you want to include them). Other statistics were fairly even (except for Possessions, but I usually discount the value of that number). The lessons for us – we need a four-Quarter effort and our application has to match theirs. ‘Family’ – Do we have any ‘family’ at Freo? I don’t think so; no-one jumps to mind. Published Thursday night. Should be changes as a consequence of last week’s performance and Buck’s comments (again). Injury Outs – Frost, Reid and Pendles were all hurt last game. That would be a crisis – reporting, however, is pretty positive re their availability. Positive reporting on Fas, Adams, Langdon, Darcy and others, but mostly this only reflects their progression from Mid-term to Short-term injuries. We are a bit light on the ground with potential replacements. Legacy from last week: Michael Christian on ‘The Agenda’ – http://www.collingwoodfc.com.au/. Worth watching. Looks at Collingwood’s ruck arrangement and why it fell apart against Melbourne. In’s & Out’s: In’s or Stay-in’s: Witts (stay in – play both Witts and Grundy in the same team; yep, I know everyone else doesn’t agree with me, but then again none of the ‘experts’ thought we would beat Geelong), Trav, Goldsack, Aish, Oxley and Caff (probably in that order). Out’s -White, Sinclair and Crocker (and maybe De Goey, if you need another Out). Let me just add that Mason Cox, while his performance has been interesting and he takes a leading mark well in front of his body better than many, is questionably AFL top-level Full Forward material. His ground work is pretty ordinary (as you might expect of someone of that height – but compare him with Grundy whose ground work is outstanding). With regards the Back 6, I’d like to see Goldsack in a controlling role and maybe try Grundy (or Trav) at CHB – Frost has tried hard but is not, yet, strong enough to compete with some opponents; but he does lead-off his man to go ‘second- man up’ really well. What do you think? That’s all, really. Pretty simple. Oh yes, and support each other – note Buck’s comments regarding the support Steele didn’t get from his teammates when he was tagged last game – http://www.collingwoodfc.com.au/ – AFL 360. Worth a watch. Expert Tips – Expert Tips will be at http://www.theage.com.au/afl/expert-tipsters in the next day or so. My Picks? Pies by 29; BOG: Treloar – 31 disposals at 68.0% DE. Goals to Trav – 5 and Cox – 3. Crowd: 53,000 – which will be very sad. Your picks? “Sacking coaches”? 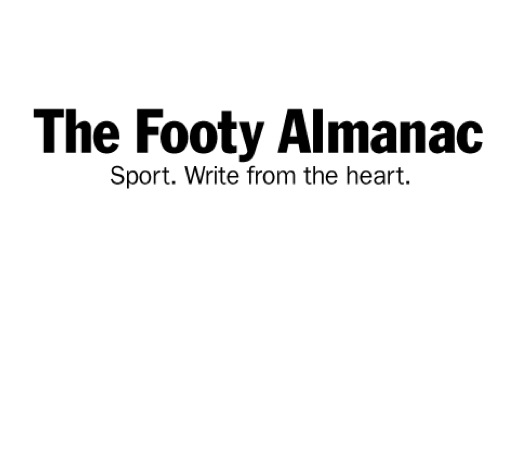 A message according to Judd – http://www.theage.com.au/afl/afl-news/afl-season-2016-chris-judd-struggling-clubs-must-look-beyond-quickfix-no-1–sack-the-coach-20160616-gpkd40.html. Worth a read. And, of course with all such statements, it is the “measurable performance indicators” (aka KPI, skated over so briefly in the third last para) and their definition and measurement, that are not addressed and are critical. Reporting? Anyone going? Ground Reports pls? Next. Round 15 – the ‘olde enemy’, Carlton. Saturday, 2 July at the MCG; bounce 7.25pm.